1)Tell us a bit about yourself. How long have you been working in this field? What is your style of photography? Which cities/locations do you specifically cover? Photography, as a profession, did not happen overnight. I was studying to be a psychologist and after working in the field for a couple of years and being disheartened by certain aspects of the profession, I decided to take a step back from a very stubborn dream and try my hands at something more creative and positive. 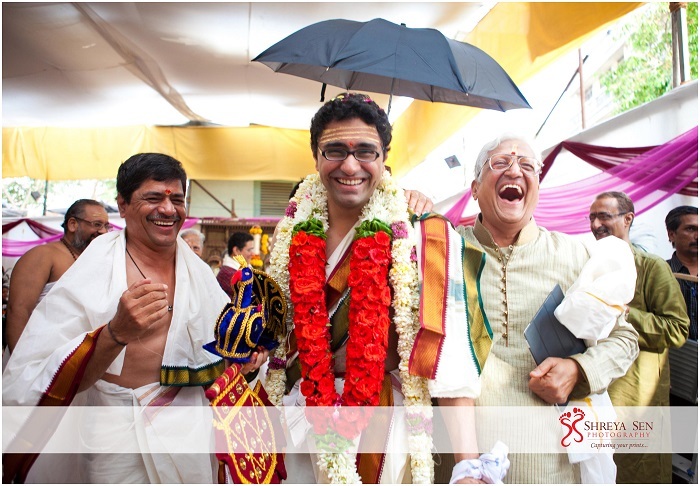 In 2009, I quit my masters halfway at John Hopkins University and came back to India. I was lucky to get the opportunity to assist R. Burman , noted fashion and celebrity photographer, to explore various aspect of photography and that’s where my passion kicked off. Shreya Sen Photography started officially in April 2011 and it has been my baby and I am grooming myself every day as a photographer and an individual. Coming from a background of psychology and emotions, it was always at the back of my mind to work with real people and real emotions. 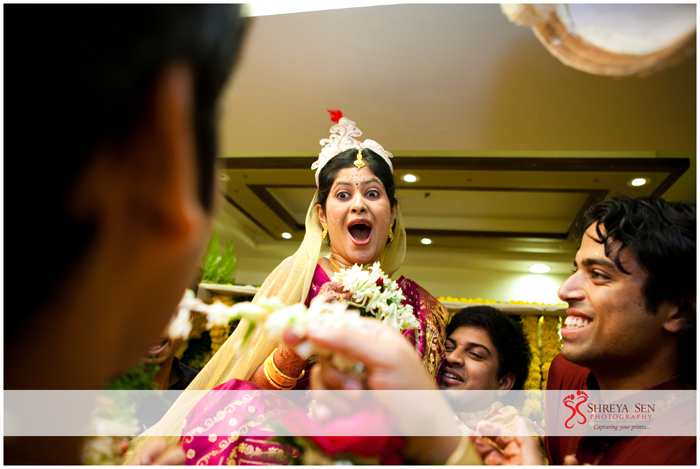 Wedding photography allows you to do just that. I also blend in my knowledge from fashion photography. I primarily concentrate on the bride & groom, mostly the more intimate moments of the wedding & ceremony and inner circle of the bride and groom. My style is fairly editorial with a blend of a photojournalism as every bride wants to look her best on her wedding day but with the addition of rich, real emotions. I give utmost importance to composition and simple editing/post production, sticking mostly to original colours while avoiding filters and over processing. 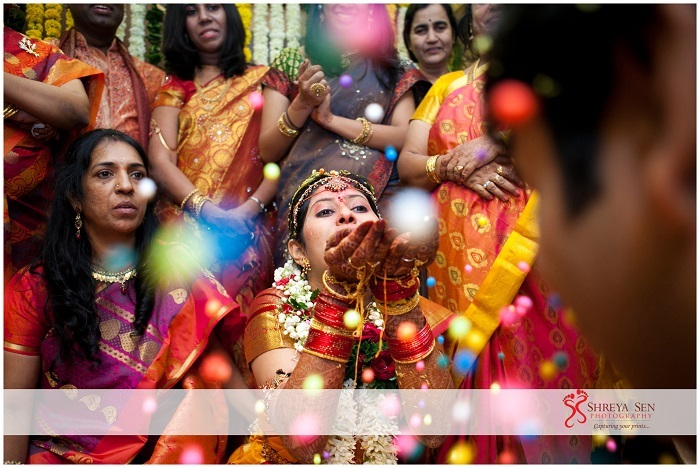 I shoot all over India as well as destination weddings if required. 2) Do you work in a team? Currently I do not work in a team. I work alone. At times clients request for a second photographer to cover both sides of the family then I do hire someone else to accompany me who has a similar style of photography as mine. 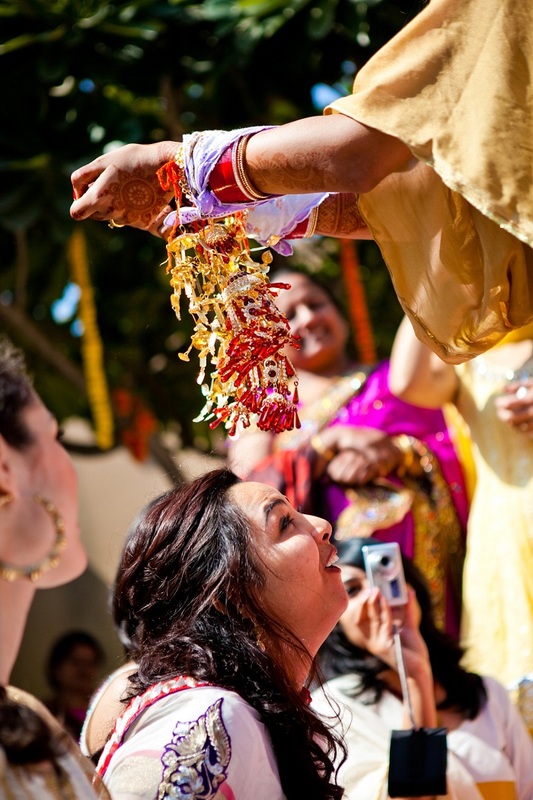 3)Do you do destination weddings? 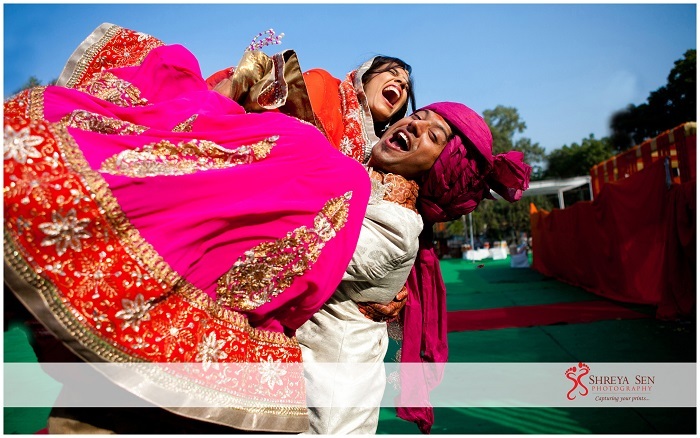 Yes I do cover destination weddings within India and abroad. 4)What are your packages? Specifically what products do you offer? My packages include edited images, couple shoots as well as a coffee table album. 5)What sets you apart from your competitors? My USP is that I lay a lot of importance on understanding the personalities of my bride and groom and try to incorporate that in my images. Hence, even my pre wedding shoots are conceptualized and personalized. I am extremely particular about details so I plan my shoots from clothes to colours to props to location. Apart from that I am a lifestyle photographer so my relationship with the client does not end at the wedding; hopefully it goes on to when they are pregnant (as I am also a maternity photography) and when they have kids. Hence it is extremely important for me that my clients are comfortable with me. 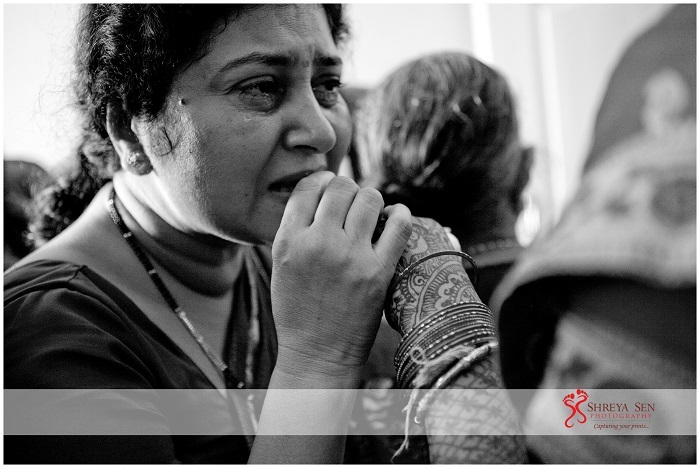 Also, coming from a psychology background, client’s relate to the emotions I try to capture in my images. 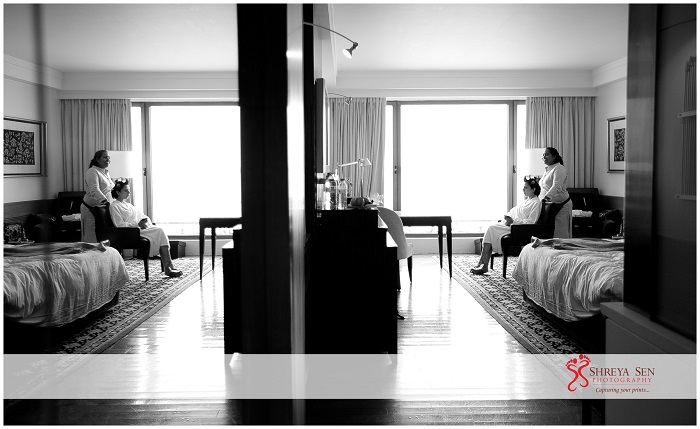 The simplicity & elegance in my photographs is what I would think attracts clients to my work. 6)Tell us about one of the interesting shoots you have had…what made it interesting. One of the most fun pre wedding shoots was a pirate boat shoot we had done called ‘Aye captain’. The groom was a pilot so we wanted to play with the word ‘captain’. We created a story where the bride is a princess and the groom is a pirate and they fall in love while fighting over the seas and he proposes in the end. The boat was beautiful and against the bayline of Mumbai and in the perfect light it was an amazing shoot. The couple had a blast and it was a huge hit at the wedding as they made a guest book with the images, the guests and family loved the shoot.